Sacramento, CA (January 5, 2012) – Unitek College’s Sacramento campus is proud and very excited to announce that our career training programs have received accreditation from the Accrediting Commission of Career Schools and Colleges (ACCSC). ACCSC is recognized by the United States Department of Education as a private, non-profit, independent accrediting agency that is dedicated to ensuring a quality education for 250,000+ students who pursue career education at 800 accredited institutions. ACCSC stimulates nurtures, verifies and recognizes ongoing educational quality and integrity in institutions offering programs of a vocational and career-oriented nature. ACCSC’s mission has an objective to assure students and the general public of the quality of educational training provided by ACCSC-accredited institutions and their programs. 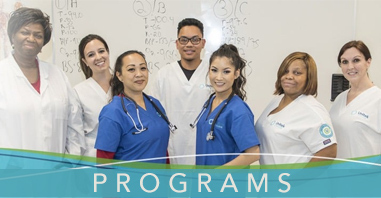 This is encouraging news for those students who have been pursuing career-training programs offered by Unitek College in Sacramento including the Vocational Nursing Training, and Medical Assisting Training programs. Receiving ACCSC accreditation is a very important milestone for the Sacramento campus. Accreditation is a standard that all quality education institutions and colleges strive for. The process takes years, and requires the involvement of all staff and management at the school. As stated by ACCSC itself, “ACCSC accreditation enhances the quality of education provided and promotes institutional accountability by systematically and comprehensively evaluating institutions based upon criteria established via the Standards of Accreditation”. “This is a perfect time for people to get career training, to advance in the field they are in, or to make the switch to a new field,” stated Navraj Bawa. “With this accreditation, Unitek College is ready and able to help people move to the next step in their career, with quality vocational training programs.” Unitek College has three Northern California-based campuses, one each in Fremont, Sacramento and San Jose. 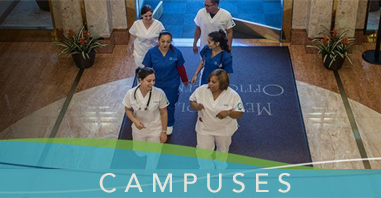 The healthcare training programs run from 8 to 18 months in length, depending on the area of study.